Mr Mark Hurworth trained in Medicine at the University of Cape Town before pursuing a surgical career. His initial training was in the United Kingdom where he was admitted to FRCS (Edinburgh) in 1999. Mr Hurworth specialised in orthopaedic surgery in Western Australia. 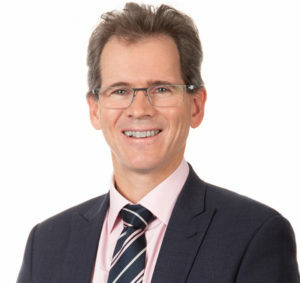 Mr Hurworth was admitted to the Royal Australasian College of Surgeons as an Orthopaedic Surgeon at the beginning of 2006. Mr Hurworth specialises in hip, knee and shoulder surgery, both replacement of and arthroscopy including trauma. This is not limited to, but includes, hip arthroscopy, direct anterior hip replacements and bilateral knee replacements. Mr Hurworth also provides services for WorkCover and MVIT patients and does both medicolegal and permanent impairment assessments. Mr Hurworth is the Director and founding partner of Geraldton Orthopaedics where he operates both publicly and privately. Mr Hurworth has been servicing Geraldton and the South West since 2006 and participates in Telehealth to cover a broader regional area. Mr Hurworth also services Broome and the Kimberley as part of Kimberley Orthopaedics. Mr Hurworth is currently Head of Department of Orthopaedics at Armadale Kelmscott Memorial Hospital and serves on the Executive Board of the Australian Orthopaedic Association (WA). Research interests include using innovative technology to measure functional outcomes after knee replacement surgery. Mr Hurworth is a keen cyclist and enjoys keeping busy with his family.